Windows Explorer comes with a search feature through which users can find specific files or folders. By default, all your searches from the search box are saved into its history. The next time you type in the search box, it will show recently typed similar terms in the drop-down dialog. You can delete your Windows File Explorer history after using the system, or disable the feature that is keeping the history. In this article, I am going to provide you all possible ways that can help you in deleting Search History In Windows File Explorer. You can clear your File Explorer history manually by going to Folder Options. This will delete all previous history. Open Windows File Explorer, and go to the Tools tab from top the of the window and go with Folder Options in the list. This will open a new dialog of Folder Options. 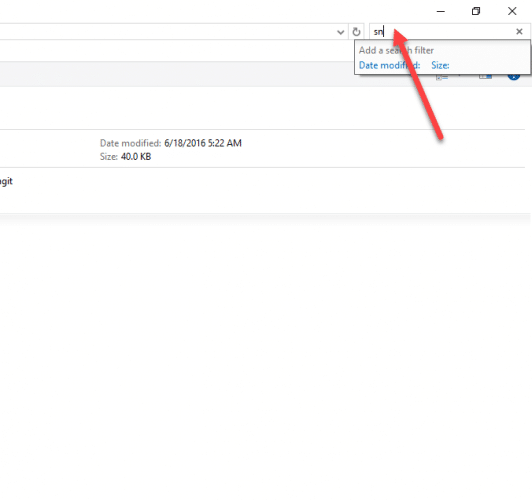 At the bottom of the window, you can see an option that says “Clear File Explorer History”, click on the Clear button, and press Ok to apply the changes. All of your older history that was saved, will be gone, and from the next time you type in search box, it will again save as a history of File Explorer. Be double sure before clearing the history, because it will not ask you for any confirmation. Sometimes you want to delete the specific history entry of File Explorer, then you can do it through Registry Editor, it also allows you to delete all history items at the same time. Apply following steps. Open Run dialog by pressing “Windows key +R” and type regedit.exe. the Registry Editor window will open. Move to following key in the registry Editor. In the right-hand window, you will see numbered entries. These all are searches you made in File Explorer. Double click on each of them to check which search it is. You can delete each key individually by right clicking and select Delete, but if you want to delete the complete history at once, then right-click on the WordWheelQuery key, and go for Delete option from the list. This will delete all the history records of File Explorer searches. Close all open windows. When you enter the same search again in File Explorer, your suggestion will no longer be available. If you want to remove the feature that File Explorer will never keep track of your search history, you can do it through Group Policy Editor. Follow the steps below for disabling file explorer history. Open Run dialog by pressing “Windows key +R” and type gpedit.msc. The Group Policy Editor window will open. Move to following key in the Group Policy Editor window. “User Configuration\Administrative Templates\Windows Components\File Explorer”. Double click on File Explorer to expand it further to right-hand window. Look for the key “Turn off the display of recent search entries in File Explorer …”. Double click to open its Properties window. Select the option of Enabled to enable this feature. Click Apply then OK. Close all open windows. Now you can use system privately, and search whatever you want to, and after using the system by applying any of above method, remove the traces of your searches. No one will get to know about your use of the system.